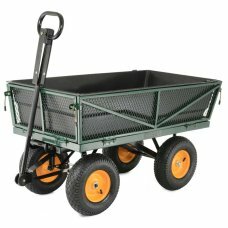 Trailers, barrows and carts let you move heavy loads from place to place and take all the hard work out of waste disposal too. 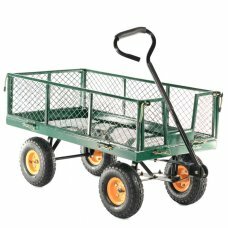 Here you’ll find a variety of different barrows and carts, including towed trailers that will link up to small tractors and hand-operated devices for the domestic user. 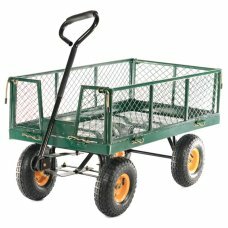 Some of these carts, trailers and barrows have drop-down sides which makes them perfect for moving heavy objects, like tree branches or rocks. 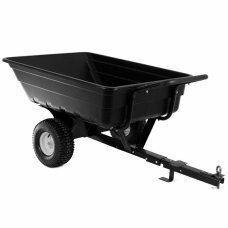 Others have solid sides and a tippable design which is ideal for loose gravel, sand or soil. 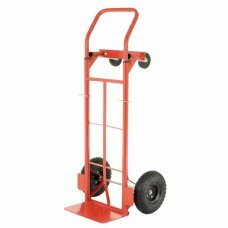 Cobra 250kg 2-in-1 Sack TrolleyIdeal for shifting heavy duty loads, the Cobra ST250 sack trolley has..
Cobra Sack Trolley 200kg ST150This Cobra Sack Truck Trolley is ideally suited to moving heavy object..
From Cobra, the GCT300 Hand Cart with drop down sides. With exceptional performance, the Cobra GCT30..
From Cobra, the GCT320HD 320kg Hand Cart with drop down sides. With exceptional performance, th..
From Cobra, the GCT300MP is a 300kg capacity Hand Cart with drop down sides, a removable inner tray ..
With exceptional performance and style, the Cobra GTT450 trailer has 16" tyres for off-road, a 250kg..
With exceptional performance and style, the Cobra GTT400HD Garden Cart has a poly plastic body and 1.. 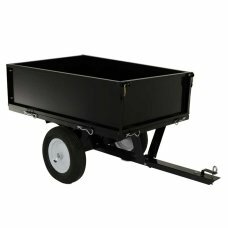 The TurfMaster TB500 is a Plastic dump truck that can be easily converted from towed to push use, it.. The TB600HD is a Heavy-Duty Plastic dump truck that can be easily converted from towed to push use, ..
Standard on the 6.25PFT and optional on the 8.25PFT, the moulded body replaces the standard Stake Bo.. 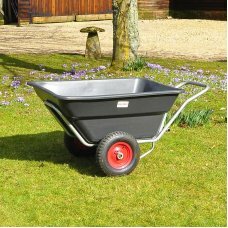 The Henchman 200 Barrow Trailer is ideal for the medium sized garden or allotment. It has a capacity.. 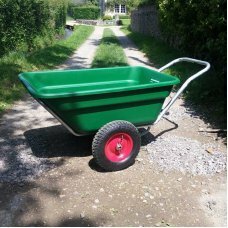 The Henchman 350 Barrow Trailer is ideal for the medium to large sized garden or allotment. It has a..